A recent story in the Press announced plans for the closure and demolition of the Carlton Tavern, on Acomb Road. Many large out of town pubs have closed in recent years, several have been demolished. But this isn’t just another pub closure story. The building has a long and interesting history, part of which is captured in this photo above, from 1948. Calling it the Carlton Tavern doesn’t do it justice. Let’s call it by one of its older names: West Garth perhaps, or the Godfrey Walker Home. As one of the comments on the Press article mentions, before it was a pub this Victorian villa was for some decades the Godfrey Walker Home. 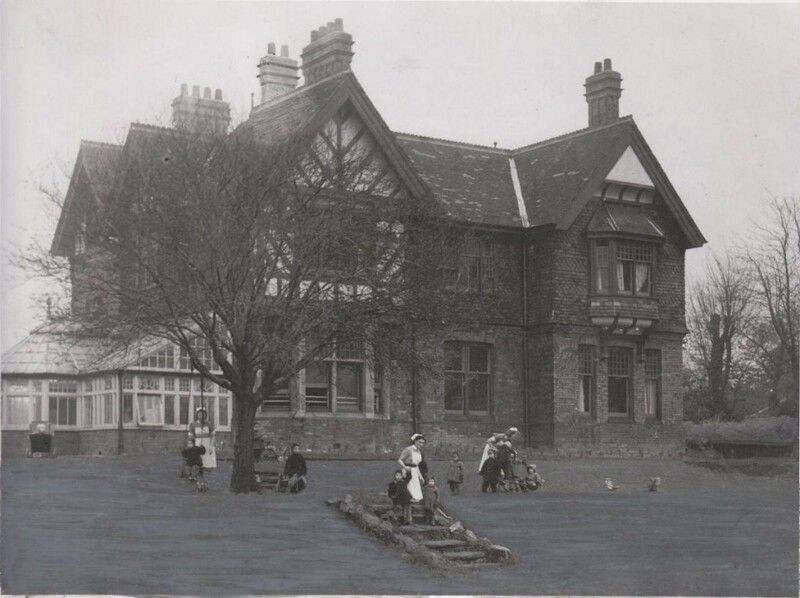 The photo at the top of the page was taken during that time, and shows nursery nurses and children on the lawns and steps in front of the building. I applied for a job as a nursery nurse with the Church of England Children’s Society. I received a letter telling me that there was a place in Shropshire, but they would try to find me one nearer home. I wrote back and told them that I had no desire to be near Hull, on the contrary the farther away the better. In York at this time a large detached house in its own grounds had been bequeathed to the society. This was to be opened in May ’47 as a nursery for babies and toddlers up to five years. It was named after the benefactor, and known as the Godfrey Walker Home. I was offered a place here although I was only fifteen and a half. When I was sixteen, in August, I could start a two year nursery nurse course which would include two three month periods at a college in Hornsey, North London. I arrived in York on a glorious day in May and asked a policeman the way to Acomb. As I walked out of the station I thought I had come to paradise. Brilliant blue sky, white stone walls, green grass and trees. I’d left behind rubble and debris, sandbags and all the reminders of war. I boarded a bus and the journey took me past lilac and laburnum all in their full glory. Past the park with trees of many varieties until I finally walked up the path towards my new home. There were about six of us altogether. Girls like myself, leaving home for the first time; also one sister and a Matron. Soon the children began to arrive; babies and toddlers from all over the country. Our wages were £2 a month. Out of this we paid a stamp of 7/6 so we had 32/6d left. Thankfully we were provided with a uniform; a green and white striped dress with a white hat and apron. I wore mine constantly. My underwear had to be washed out and dried ready to put back on the next day. Trying to buy clothing was difficult because I had to buy soap and toothpaste and so on. When the girls asked me to go out with them, maybe rowing on the river or something, I would refuse, then they would insist, and I’d have to say I had nothing to wear. One would then lend me a blouse and another a skirt. We gave the children their tea in the playroom. Here I had my first taste of honey. We had large jars of it which was spread on brown bread and relished by all. We worked hard but it was enjoyable. Just to live in such a lovely house surrounded by a garden and in such a beautiful city was a constant pleasure. Mum had left this employment before the photo above was taken, but she stayed in Acomb. It’s a rather attractive Victorian villa, dating from the late 1880s, according to a brief mention in the Pevsner guide. (It refers to it together with Shelley House, another tile-hung Victorian villa next door. That has been demolished and replaced with a modern block of flats.) It was originally called West Garth, and available records show that it was the home of the Russell family for some years, towards the end of the 19th century. How it then changed ownership and came to be the Godfrey Walker Home is something perhaps someone else can investigate further. For now it seems sufficient to observe that it looks not much altered, externally, even apparently keeping its original windows (though hard to be sure without a closer look). Unusual perhaps for a building that has had so many changes of use, and isn’t a listed building. Seems a shame to destroy this building. In fact I’d go so far as to use a phrase I’m not in the habit of using except when I really need to: it seems like an act of vandalism to destroy it. I’m not thinking particularly of my own family connection to the place, and this interesting aspect of its history, but more that it makes no sense to me to destroy a solid-looking handsome building that has been adapted for several different uses over the last 130 years or so and yet still retains so much of its original character. Why could it not be kept, with a modern development around it? If it has outlived its usefulness as a pub that doesn’t seem sufficient justification for its complete destruction. I’m not naive, and realise that for companies owning ‘assets’ like this it’s all about how much profit they can make. Maybe they could make just a bit less, by adapting what’s already there, and leave the entrance to Acomb with at least one characterful handsome old building. ‘The next few hundred yards and the blasted village entrance have little aesthetic appeal’, wrote John Hutchinson in 1980. Technically I think the building is in Holgate, as the boundary between Acomb and Holgate is at Acomb Regent, just along the road, so I’ve been told many times. 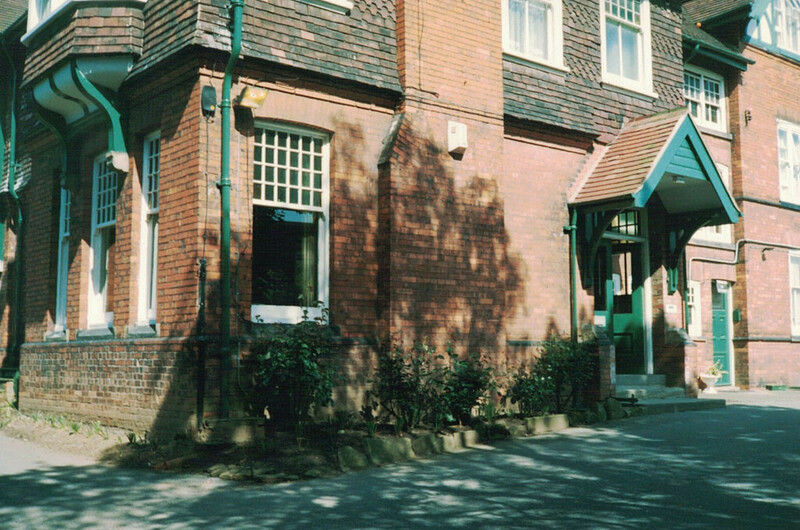 Whether we think of it as in Acomb or in Holgate, whether we call it the Carlton Tavern or West Garth or the former Godfrey Walker Home — should it go the same way as the 19th century Burnholme WMC building, and Burton Croft, and North Lodge at Clifton, and the lodge at the old fire station, and so many other Victorian buildings demolished in the last decade or so? A planning application and planning permission will of course be needed. I can’t see any sign as yet of a planning application on the online system, but I’ll look out for it and link to it when it does. There’s more information on the Godfrey Walker Home in the online catalogue of the records of the Children’s Society, on this link. If you’d like to be kept informed of updates, or other things I’m writing elsewhere, please join the mailing list. I too have several family connections to this building and it does seem a shame it will have to go. My Mum moved to York to work at the Godfrey Walker home after completing her training as a nursery nurse. While working the night shift she met my Dad, who often came over for a cup of tea. My Dad said it was all the more exciting for trying to avoid matron on the way in. They later married and my Mum spent the rest of her life in York. When I got married we looked for a suitable venue for the reception and my Mum suggested the old villa, now called Carleton. I remember it as the hottest day I ever spent in a suit and tie. After a fantastic lunch and evening party my wife and I spent our first night as a married couple in a room there too. 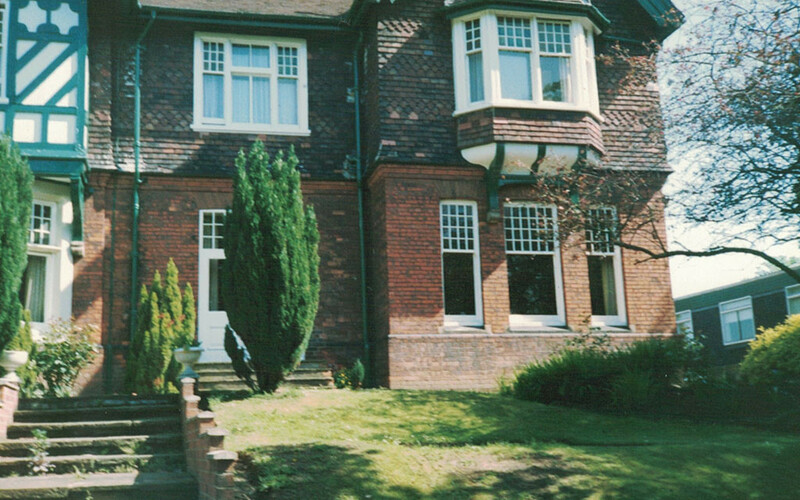 I remember the house well and its use as a children’s home. The building itself is handsome and indeed a good example of the era in which it was built , it would be short sighted to destroy it as in time these houses will become as important as say the Shambles in now. As for its previous use. I worked at Rowntrees with a female supervisor who having had a child out of wedlock but refusing pressure to have the baby adopted managed to get the baby into the home. She visited ever week without fail and finally stood her ground with her family and at five years old brought her home. She had nothing but praise for the care given though in this day and age we would think it somewhat regimented nurses in uniform , matron etc . It was a very normal sight to see all the little ones out playing on the front lawns and I think many wondered at the situations that had brought these little ones there. Lovely to have these memories added from different times in the history of the building. Thank you Matthew and Deborah. 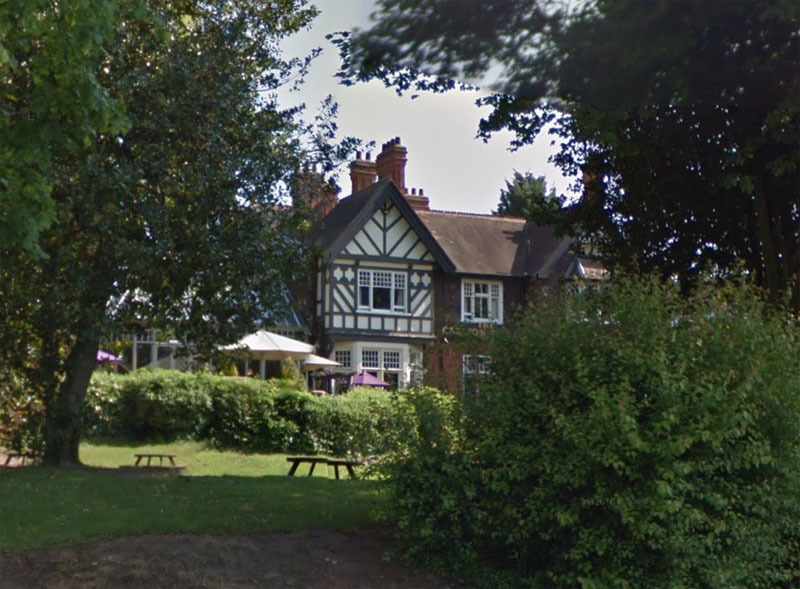 “AM I correct in my belief that the Carlton Tavern and the former Oakhaven are both to become homes for the elderly? This means that if you are young and trendy you should live in the Bishopthorpe Road area or similar and Acomb becomes a waiting room for what? The contrast with the ‘Bishy Road’ area is something I thought about too. Seems that many people are just accepting that demolition is inevitable. Shouldn’t be that way and I hope that Acomb/Holgate and perhaps even wider York will challenge this and not just roll over and say it’s ok.